We have talked many times about the effects of stress on the body and the link between stress and hormones such as cortisol. Adrenal fatigue is a common problem with the hectic pace of life and the unbalance between resting, relaxing and STRESSING! It may start out as difficulties sleeping or some weight gain around the waist or even simply fatigue. But if left long enough without addressing, adrenal fatigue can lead to severe cortisol depletion known as Addison’s disease. You eat very cleanly and regularly and you work out 4-6 times per week with a combo of strength training, spin classes, running and even circuits. Weight loss is minimal to none and in fact some people even gain weight despite healthy diets and lifestyle. Note, there are other hormone imbalances that could be at play here as well. We all know that 8 hours is the goal and that hours before midnight count more than hours after midnight. However, when cortisol is used up in the day time, our normal rhythms become skewed resulting in difficulties with sleep. Fortunately there are some wonderful herbs and supplements to help this symptom of adrenal fatigue while the adrenals are being repaired. 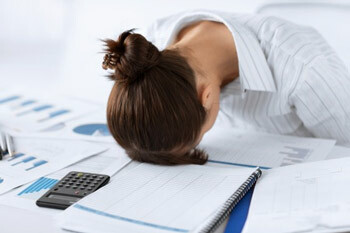 The feeling of being overwhelmed more easily than normal or even developing anxiety is associated with adrenal fatigue. his can result in highs and lows that are more amplified or reactions to situations being out of your norm. Some people feel their heart race as the adrenals pump out the stress hormones more easily and irregularly. Brain fog or inability to focus and think straight can also be noted. Digestion can be unhappy and show it by way of bloating, gas, constipation and diarrhea. Menstrual cycles can also be influenced by adrenal function resulting in irregularity, heavier flows and shorter cycles. Immune health can be down regulated meaning more colds and flus and allergies. Signs of blood sugar dysregulation such as hypoglycemia (“hangry”) may be attributed to adrenal insufficiency. Subclinical hypothyroidism is often a result of adrenal fatigue and is best treated by addressing the adrenals and thyroid together. The best way to know how your adrenals are doing is by a 4-point saliva or urine analysis. Samples are taken at 4 times during the day because our levels of cortisol differ depending on the time of day. This information along with a detailed medical and lifestyle history will help to determine if you have adrenal fatigue and to what extent. There are many ways to address the various stages and each involves lifestyle, dietary factors, supplementation and monitoring. Acupuncture and IV therapy can be a fantastic addition to a treatment protocol. Please contact our front desk if you feel you may have adrenal fatigue and would like to learn more.